In all of our venues, you’ll be the one mixing the cocktails. All of our cocktail making classes are hands on, where you will get to mix and shake your own drinks. We offer different packages in different venues, however as an idea, we’ve detailed below what you can expect in our £25 package. However if you’re looking for a bit more, we can often offer a 2 or even 3 course meal with the masterclass. Please enquire to find out exactly the venues and packages we have available. You’ll usually start off with a welcome cocktail or a glass of fizz on arrival to break the ice. Then your skilled cocktail bartender will take you through an introduction of the equipment and how to use it, with a wee demo of what you’ll be doing. Then it’s your turn!… You’ll get behind the bar and get shaking, mixing and muddling. Each and every one of you will get the chance to shake your own cocktail(s). You’ll usually get 2 cocktails to make and drink each. There’s fun games, and interactive stuff that each bartender likes to bring to the party, so we know you’ll be entertained. So don’t enquire everywhere, enquire with us, and we’ll find all the available venues, with the best prices for you. * We will never be beaten on price, even going direct to the venue. 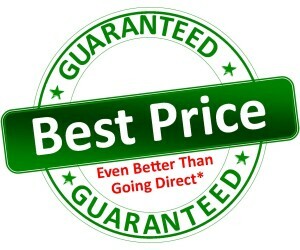 Even better than that, we occasionally discount prices on some venues to be cheaper than booking direct. Don’t you worry… You will receive the exact same package as you would if you pay full price with the venue. So there is no reason not to book through us and save some £££’s.